We don’t know about you, guys, but we find great joy in reading old smartphone reviews. They don’t just bring out that warm, soothing feeling of tech nostalgia. They can also be an amusing read – going back to our Sony Ericsson Xperia X10 review, for instance, reminds us that a 4-inch display was considered huge only 5 years ago. Times have changed since then. The average smartphone has grown in size, and so has its screen diagonal, which now hovers around the 5-inch mark. At the same time, those not ready to accept a smartphone of such proportions must be finding it increasingly hard to come across a truly powerful handset. That’s the kind of folks the Sony Xperia Z5 Compact is made for. While relatively small in size, as suggested by its 4.6-inch screen diagonal, the smartphone packs most of the features and hardware muscle one would get from the brand’s flagship, the Sony Xperia Z5. To be more specific, the Compact is equipped with a top-shelf processor, snaps photos with a 23MP camera, resists water ingress, blasts sound through stereo speakers, and promises great battery life. Not bad for a _phone_ of this caliber, is it? Okay, that’s enough chatter. Let’s take the Xperia Z5 Compact for a spin and see what it has to impress us with. You want a truly compact, pocket-friendly smartphone? Here you go! What is it that makes a compact smartphone compact? Is it that it fits in the smallest of pockets? Or that it fits nicely in smaller palms? Or that it is easy to hold and ideal for use with one hand? Of course, all of these factors are of importance, and the Sony Xperia Z5 Compact does tick most of the right checkboxes. It is a very pocket-friendly _phone_ and one highly suitable for single-handed use. Furthermore, folks with palms of smaller size will enjoy handling Sony’s petite handset – we did confirm this with a couple of lady friends. But the phone’s shape has a negative impact on ergonomics. You see, when it comes to smartphones, Sony’s current design language favors flat surfaces, straight lines, and rectangular shapes. From a purely visual standpoint, there’s nothing wrong with that – a phone built around these principles has a classy, professional, timeless look. This applies to the Xperia Z5 as well. But on the flipside, the edges and corners of the Xperia Z5 Compact have barely any roundness to them and don’t feel nice against the palm. That’s not too big of a deal, but we had to mention it. Size and shape aside, the Sony Xperia Z5 Compact is built within a plastic frame, with glass covering its front and back sides. The back, in particular, is made of what Sony calls frosted glass, and one should think of it as glass treated to a matte finish. There’s a benefit to choosing the latter over regular, glossy glass: fingerprints don’t stick to the back’s non-reflective surface. But on the downside, some folks will find the finish too slippery. It might not look like it, but the Sony Xperia Z5 Compact comes with a pair of front-facing stereo speakers. The good news is that their openings – barely noticeable slits between the frame and glass panel – don’t spoil the looks of the phone in any way, as it was the case with the Xperia Z3 Compact. There’s another noteworthy perk that sets the Xperia Z5 Compact apart from most other smartphones – the handset carries an IP65/68 certification, meaning that it is resistant to dust and water damage. However, while the Z5 Compact will survive accidental spills and being caught in the rain, you are strongly discouraged to submerge the phone completely underwater, especially if it is of the salty kind. In fact, improper use will invalidate your warranty. In any case, you must ensure that the cover protecting the SIM and microSD card slots is firmly in place, as that’s what stops dust and moisture from entering. Thankfully, no flap is needed for the Micro USB port at the phone’s bottom. 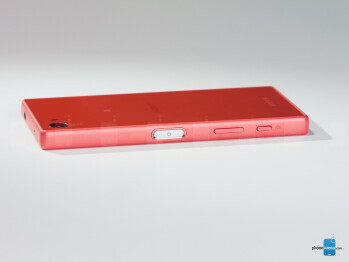 On the right side of the Xperia Z5 Compact reside all of its physical buttons – a power key in the middle, a volume rocker beneath it, and a 2-stage camera shutter. Disappointingly, these have not been designed well. The power button is soft, and accidental presses were common in our experience, but the volume controls are even more annoying. The volume rocker is just tiny and operating its buttons feels like pressing a sponge. On top of that, the rocker can’t be reached comfortably due to its awkward placement. At least the camera button works fine. 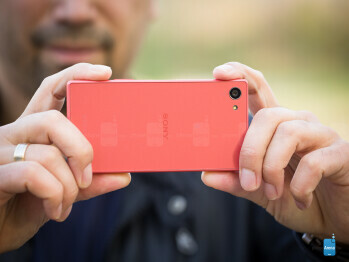 It comes in handy while shooting photos, and long-pressing it will launch the camera from any screen. Speaking of buttons, the Sony Xperia Z5 Compact has a fingerprint scanner built into its power key. Naturally, its main purpose is to replace your lock screen and it does a good job at that. The scanner is fast and reliable, with a very high rate of successful readings. Due to its placement, however, the scanner is less convenient to use when the Z5 Compact is held in the left hand. Sorry, lefties! The screen gets the job done, but we were expecting better quality given the phone’s price. 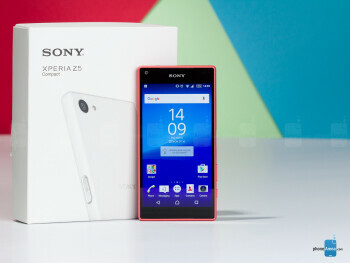 The Sony Xperia Z5 Compact comes with a 4.6-inch IPS LCD display. By today’s standards, that’s a screen size below the average, and that on-screen buttons eat up precious space does not make things any better. On one hand, there’s nothing holding you back from playing a game of Need for Speed or watching an episode of Voltron on a Z5 Compact. But on the other, these and other activities are more enjoyable on a bigger screen. When chatting, for instance, the on-screen keyboard occupies more space than the actual text conversation. Although the UI is also to blame for this imperfect experience. We’re not saying that a 4.6-inch screen is too small or impractical. It just has its obvious limitations when compared to larger offerings. Those demanding a compact phone, however, should do just fine with what the Z5 Compact has to provide. In terms of resolution, the Z5 Compact’s display packs 720 by 1280 pixels, which translates to a density of 319 pixels per inch. The screen that Sony went for is sufficiently clear and crisp, which makes it perfectly usable. However, it would have been nice seeing a screen of higher resolution in its place, seeing that this is a rather expensive phone we’re dealing with. On the plus side, lower resolution means better gaming performance. Sony could have paid more attention to color accuracy. Our display measurements show that the Xperia Z5 Compact’s screen has a color temperature exceeding 9000 kelvins, and that’s quite far from the reference mark of 6500K. The screen appears blueish because of that. And the delta E figures, which indicate the screen’s accuracy across the color spectrum and grayscale range, are average at best. It is nice that color accuracy can be tweaked from the settings menu, but we don’t see many Z5 Compact owners actually doing that. Where the Z5 Compact truly shines, however, is in the brightness category. With a peak output exceeding 700 nits, the phone’s screen is one of the brightest around, which explains why outdoor visibility has never been an issue during the weeks we spent testing the phone. Before we move on, we must mention that the Xperia Z5 Compact remains usable even when its screen or your fingers are wet. There’s also a Glove Mode, which can be triggered manually, but if you don’t plan on actually using the phone with gloves on, we’d recommend you to leave the feature off. Having it on results in frequent accidental taps when the phone is used with bare fingers. That’s the kind of folks the Sony Xperia Z5 Compact is made for. While relatively small in size, as suggested by its 4.6-inch screen diagonal, the smartphone packs most of the features and hardware muscle one would get from the brand’s flagship, the Sony Xperia Z5. To be more specific, the Compact is equipped with a top-shelf processor, snaps photos with a 23MP camera, resists water ingress, blasts sound through stereo speakers, and promises great battery life. Not bad for a phone of this caliber, is it? What is it that makes a compact smartphone compact? Is it that it fits in the smallest of pockets? Or that it fits nicely in smaller palms? Or that it is easy to hold and ideal for use with one hand? Of course, all of these factors are of importance, and the Sony Xperia Z5 Compact does tick most of the right checkboxes. It is a very pocket-friendly phone and one highly suitable for single-handed use. Furthermore, folks with palms of smaller size will enjoy handling Sony’s petite handset – we did confirm this with a couple of lady friends. But the phone’s shape has a negative impact on ergonomics. Been there, done that. 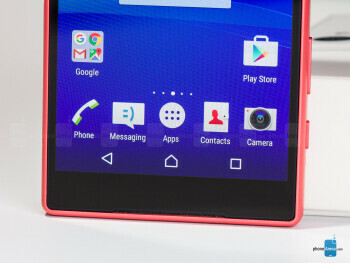 The Z5 Compact does not add much to differentiate itself from last year’s Xperia models. On the Sony Xperia Z5 Compact runs Android 5.1 Lollipop, with an update to 6.0 Marshmallow coming at some point in the future. 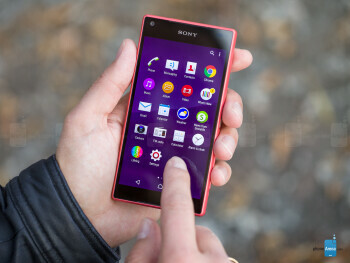 The user interface, at least in its current state, blends stock Android elements with Sony’s own enhancements to produce a familiar experience – anyone who has used a recent Xperia model or a phone running vanilla Android should be feeling right at home when handling Sony’s compact handset. But is the phone too familiar? Comparing it to a last year’s Xperia model, it’s clear that the Z5 Compact has very little to differentiate itself with, both in terms of appearance, features, and overall user experience. 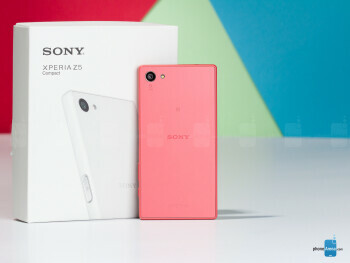 It is a newer model, yet not much has been added to give the Z5 Compact more value. That is not to say that the Sony Xperia Z5 Compact is lacking in functionality. It is just keeping things simple by not distancing itself from the feel and reliability of pure Android. For instance, the pull-down notifications, the lock screen, the basic organizer apps on the Z5 Compact all have that stock feel to them, which we think is a good thing. On the topic of reliability, our Xperia Z5 Compact did reboot on its own a couple of times – once during a call and once during a regular chat over Facebook’s Messenger. The event was preceded by several red flashes of the notification light. The phone was in no way under stress or hot to the touch, so could a software bug be to blame for the crashes? It is good to see that the Z5 Compact comes pre-loaded with useful tools, such as an office suite and a file manager. An app for taking notes is missing for some odd reason, but you should be able to find a good one with a quick visit to the Play Store. But it also comes with quite a few pieces of bloatware, many of which can be uninstalled or disabled, thankfully. One notable feature is that the Xperia Z5 Compact has support for themes, many of which are available for download. But the premium ones cost money and the free ones are not all that inspiring. 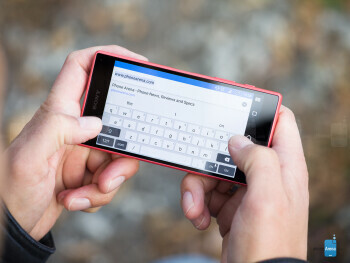 During our testing, we stuck with the Xperia Z5 Compact’s stock on-screen keyboard. We liked it for its customization flexibility and we found it to be accurate and generally reliable despite the screen size. However, typing with two thumbs on it can be tricky. With a top-tier SoC, the Xperia Z5 Compact is a speedy phone, but another gig of RAM would have been welcome. Don’t let the small size of the Sony Xperia Z5 Compact fool you. The phone sports a top-tier system-on-chip, namely Qualcomm’s Snapdragon 810 (MSM8996) running at up to 2.0 GHz. This potent piece of silicon ensures the mostly smooth operation of the user interface and runs even heavy 3D games at high framerates, although the display’s low resolution is also a reason for the device’s great graphics performance. But lags and slowdowns do occur, albeit at rare occasions. Could the 2GB of RAM be causing this? 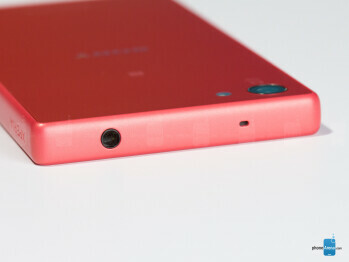 Given the price of the phone, we don’t see why Sony chose to not fit an extra gig in there. The Z5 Compact’s performance could also be affected when it is under heavy load. Running the AnTuTu benchmark several times in a row dropped the phone’s score from 61K to under 40K. We’ve never had the Z5 Compact overheat on us, however. As far as storage goes, you get 32GB with the Sony Xperia Z5 Compact. However, a huge chunk of that is occupied by the operating system, which is why in reality you only get about a little over 20GB of the stuff. While that’s still a good amount of storage space for apps and media, having 10GB of your storage space occupied by system software is just ridiculous. Those of you in need of extra gigs may take advantage of the phone’s microSD card slot. Sony’s new 23MP camera is good enough, but not impressive. Being excited about the Xperia Z5 Compact’s camera is perfectly natural, and if you don’t see why, allow us to go through its specs. 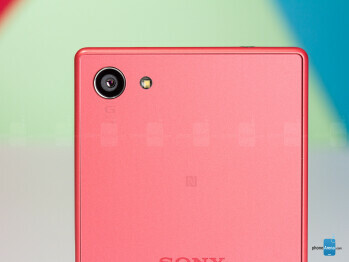 First and foremost, the shooter has a 23MP Sony Exmor RS sensor that’s 1/2.3'' in size. Its focusing system combines contrast- and phase-detection tech to achieve stunningly fast autofocusing speeds – down to 0.03 seconds to lock the focus on a subject, Sony claims. In addition, the camera’s G Lens has a 24mm focal length and one of the widest angles on a smartphone camera – a plus when shooting in tight spaces. To compensate for the lack of optical image stabilization, Sony has thrown in great software stabilization for videos. Once in the camera app, we find a refreshed user interface, but not one dramatically different from what we’ve seen on previous Xperia models. All in all, the software gets the job done – its automatic mode is simple to use and Manual mode gives us extended control over the image with its scenes and tweaks. But the app does leave room for serious improvements. For starters, there is noticeable shutter lag – a delay of about half a second between the moment you press the shutter button and the moment when the image is actually captured. Seriously, what’s the purpose of an ultra-fast autofocus (which really is super-fast) when the camera is laggy as a whole? Also, we were baffled to come across a ton of gimmicky modes, such as the augmented reality effects, but an actually useful feature like Burst mode had to be downloaded separately. Furthermore, photo enthusiasts might be a bit disappointed by the fact that the so-called Manual mode gives no control over advanced settings like focus and shutter speed. Let’s proceed by taking a look at some images, shall we? 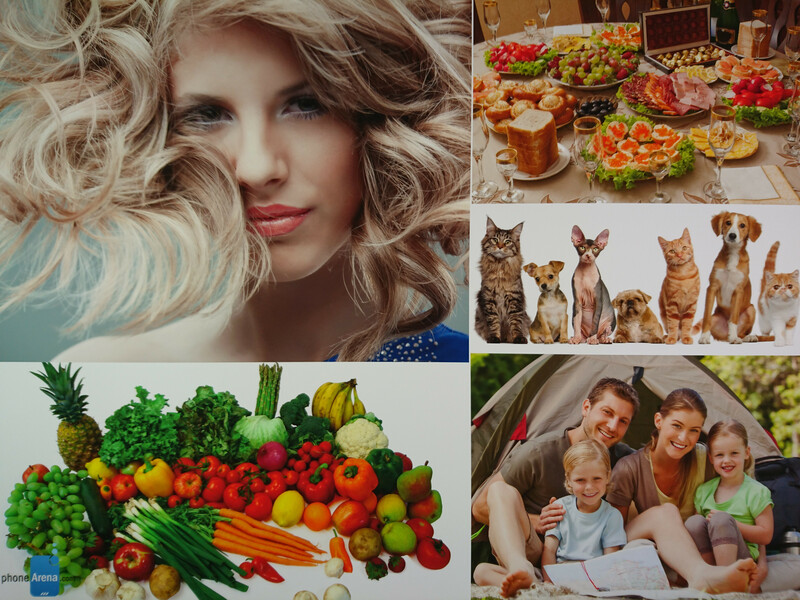 Photos taken with the Sony Xperia Z5 Compact are of mixed quality. Sometimes they look great, and sometimes they’re pretty disappointing. Most of the time, we found ourselves in the latter situation. Even in optimal conditions, the details aren’t as clear as what phones like the Galaxy Note 5 or the iPhone 6s can produce. They’re quite fuzzy, actually, if you take a close look. White balance is usually accurate enough, but can be very wrong at times, usually when a large portion of the frame is occupied by an object of a single color. The camera also struggles with handling dynamics range. Photos of high contrast usually end up with burned highlights. Activating the HDR setting in Manual mode doesn’t seem to do much in these cases. Needless to say, low-light photos are of worse quality, and even slight trembles of your hand may produce blur in the image. Overall, this is a camera that gets the job done, but it is not one worth being excited about. As for the front-facing camera, we like that it has a pretty wide angle, allowing a good amount of faces to fit in. But again, the quality of the produced images is average at best, especially in low light. Videos shot at 1080p 30fps are average in quality, with okay-looking details. Switching to 4K improves detail quality dramatically, but naturally, larger video files are produced. Impressively, focus is switched almost instantaneously thanks to the camera’s hybrid autofocus technology. Also, sound is loud and clear, with wind noise being reduced really well. Upon opening the Z5 Compact’s image gallery we’re presented with an overview of our images, arranged in a grid layout. A convenient pinch gesture is used to zoom in and out on the thumbnails. While the layout is simple, the app itself is pretty functional, with a robust image editor. Similarly, the video player is designed to offer the most essential of features, but it also has a few tricks up its sleeve. You may use it to trim your videos or adjust their playback speed. There’s also a set of sound enhancements, and you may let the video run alongside other apps. If the screen was a bit bigger and has superior color accuracy, however, watching photos and videos on it would have been a more pleasant experience. While streaming music is a popular option nowadays, you may listen to music offline using the Xperia Z5 Compact’s stock music player. It is a decent app, with all the necessities one should provide, including lock screen playback controls, an equalizer and various sound enhancements. The built in speakers, however, are of mediocre quality, with very little depth to them. What we do like about them, on the other hand, is that they produce stereo sound and their placement on the front reduces the chance of us covering them while gaming or watching video. 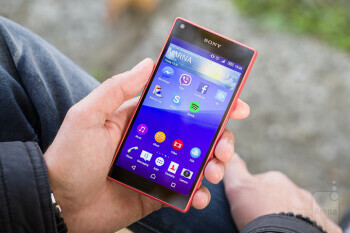 Phone calls made with the Sony Xperia Z5 Compact sound really, really good. They’re clear and natural in tone, with a good amount of depth to them. Sound volume during calls has never been an issue. Even in noisy conditions, our voices are fairly easily understood on the other side of the line. Good battery life overall, but the promised 2-day battery life is possible only with light usage. Put under our custom battery test, the Sony Xperia Z5 Compact and its 2700mAh battery lasted through 9 hours and 27 minutes of use, which is an excellent score – one placing it near the top of the chart. However, we can’t omit the fact that its predecessor, the Z3 Compact, lasted 35 minutes longer through the same testing procedure even though it had a smaller battery. 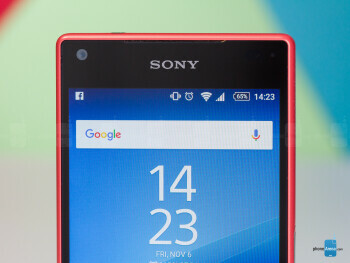 But does the Sony Xperia Z5 Compact last 2 days per charge, as its maker claims? Well, it greatly depends on how the phone is configured and used. For the record, our Z5 Compact had sync and location services enabled at all times during testing. Also, its screen brightness was set to automatic, and the typical bunch of social media apps were loaded on it. In this state, it could last us through a day of moderate to heavy use and a night out with the guys. And that’s actually pretty good. Achieving 2-day battery life, however, was only possible by relying on Sony’s power-saving features, and Stamina Mode is one of them. Stamina Mode works by limiting the phone’s connectivity when it is not in use. This extends stand-by time dramatically – our Z5 Compact’s battery meter was usually at about 75% when it was time to leave the office in the evening. On the downside, the phone does not receive emails and chat notifications while in stand-by unless apps are specifically whitelisted and data connections are allowed to run. While we’re at it, the Z5 Compact is compatible with Quick Charge 2.0. To take advantage of the feature, however, you’ll need a compatible charger as the one provided isn’t. If the 2 hours and 26 minutes the phone requires to refill its battery seem like a lot of time, consider getting one. But in reality, the Z5 Compact fails to impress on many levels. It is a good smartphone, just not an excellent one. All things considered, it stands out with its powerful processor, good performance, decent battery life, and water resistance. 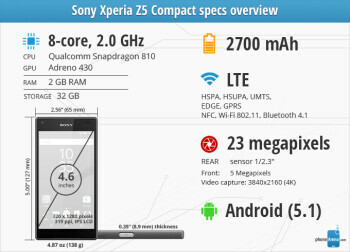 In most other categories, the Z5 Compact is an average performer. Its camera gets the job done, but it isn’t as impressive as Sony makes it look. The screen is very bright, but of average quality. Having stereo speakers is nice, but their sound is average at best. Okay, perhaps our expectations were a bit too high, but that’s expected, more or less, when the off-contract Sony Xperia Z5 Compact costs north of $500 (over $600 in some markets). Given that it has few alternatives in its size category, that’s a price Sony can get away with. But if compact size is not of utmost priority, perhaps you might want to spend your money on something else – a proper Android flagship, perhaps, or why not even an iPhone?